End of Lease or Bond Clean Due? 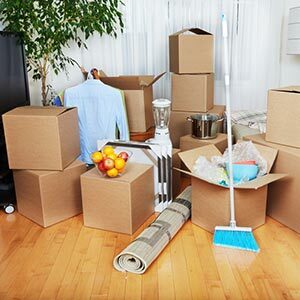 Moving to a new house is stressful enough, and cleaning up your old home before leaving doesn’t make things any easier. If you don’t deep clean your rental property before moving out, you risk losing some or all your bond money. Since this bond amounts to one month’s rent, you want to make sure you get your money back. Here at Housework Heroes, we put in a little elbow grease to get your rental house clean and tidy. We offer you an entire suite of services that you can use for your exit cleaning needs. Spare yourself the trouble and let our highly efficient and trained cleaners do the job for you. We offer a cleaning package that suits vacate cleaning requirements. Our professional end of lease cleaners leave your home looking clean and smelling fresh. We have the requisite experience and work off strict end of lease guidelines to make sure the property looks just as good as it was on the day you moved in. In addition to all the services included in our standard package, we can accommodate your window cleaning, appliances cleaning, and wall cleaning requests. We tackle dust and dirt build-up in overlooked areas. It doesn’t matter if you need to clean areas underneath the range hood, between the blinds, under appliances, or the grout between tiles—we’ll do the needful. We handle rental apartment cleans, or house cleans promptly, and get the place in order within a short span of time. Our end of lease specialty cleaning package can be supplemented with the additional cleaning options of: window cleaning, professional carpet steam cleaning or tile & grout steam cleaning. Items often required for your end of lease clean. Just ask us to include these items in our free, no obligation quotation to you for your bond cleaning service. At Housework Heroes, we get our knees deep in dust and dirt, to help you pass your end of lease inspection. As a local company, we have local cleaners in your area, and save you a lot of time and energy. We’ve completed work on behalf of many Real Estate agents and companies throughout Australia, so we know what is expected for a bond cleaning service. Discovering your local cleaning hero during this stressful time will be the best decision you make to provide your house or rental clean needs and achieve results of the highest standards.